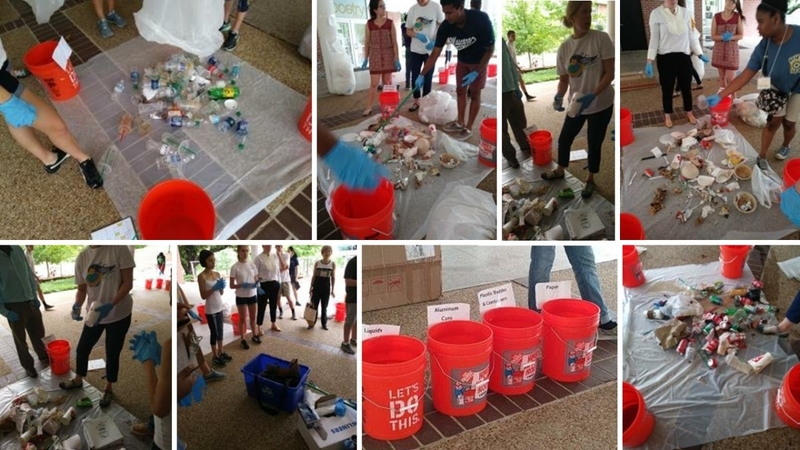 On June 28, high schoolers with the Center for Education Integrating Science, Mathematics, & Computing Energy and Environmental Summer Camp at Georgia Tech took part in a waste audit. A waste audit is when people sort through the trash and recycling bins to see if people are correctly sorting their waste. For example, the students checked the aluminum bin to see what percent of the contents were actually aluminum. The students collected waste from various locations across campus and came together to sort and compare results. It was interesting to see all the bins and all the different materials in each. Unfortunately, many of the products were placed incorrectly. This showed that the students, staff, faculty, and visitors at Georgia Tech must improve on their recycling habits. The students in the camp learned how important it is to follow the signs and throw waste out appropriately.